You’ve probably noticed I’ve been a little quiet on the blogging front recently. May and June were taken over by my final Law School exams. I take exams very seriously: I’m not a worrier but when I’m in the exam zone nothing else even registers of my radar; everything gets thrown to the wayside including friends, family and cooking! My last exam was just over a week ago and I’m slowly getting back into some sort of routine. I’ve been having interviews for a job between finishing law school and starting my training contract, socialising with friends and I’ve also been doing a variety of creative projects! For some reason though I’ve found it hard to get myself back in to the kitchen. So, when I heard about the Kikkoman Blogger Challenge I thought it was the perfect way for me to get back into the kitchen and to start experimenting with flavours again. Kikkoman are experts in all things Soy Sauce. They’re extremely passionate about their products and want to show just how versatile they are, so bloggers like myself have been challenged to use either their Naturally Brewed Soy Sauce, Teriyaki Marinade or Less Salt Soy Sauce, in a recipe. The catch – the recipe can’t be oriental! BBQ Sauce smothered chicken on the grill! I’ll be the first to put my hand up and admit that I only ever use soy sauce in the typical oriental recipes such as stir fry’s, sweet and sour sauce, and to serve sushi so I was quite excited about this challenge! I started by tasting the Naturally Brewed Soy Sauce and trying to break down the flavours I could really taste. Now there’s no denying that Soy Sauce is quite salty, and also tastes a little smoky so I started trying to think of food stuffs where these flavours could really work. 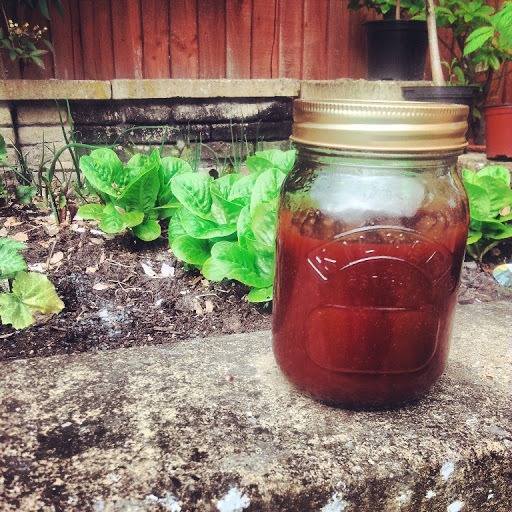 It wasn’t long before I came up with the idea of making home-made BBQ Sauce! This BBQ Sauce can be used in a number of different ways – smother chicken wings in it and bake in the oven, dollop into a burger bun, dunk in your chips, or even spread it over a pizza base as an alternative to tomato sauce! Is there any better way to prove just how versatile soy sauce is than by using it in a super versatile sauce?! Combine all of the ingredients into a heavy duty saucepan. Stir so that all of the ingredients are mixed well and place over a low heat. Let the sauce simmer until the sugar has dissolved. Keep stirring the sauce so that it doesn’t stick and let the sauce simmer for at least 30mins. Once the water has evaporated and the sauce has become thick and sticky it can be transferred to a sterilised jam jar. Place the lid on immediately and leave to cool. As the sauce cools it will draw in the jam jar lid and will make a popping sound. This means the jar is now sealed! Once opened, use the sauce within 2 weeks and store in the fridge. 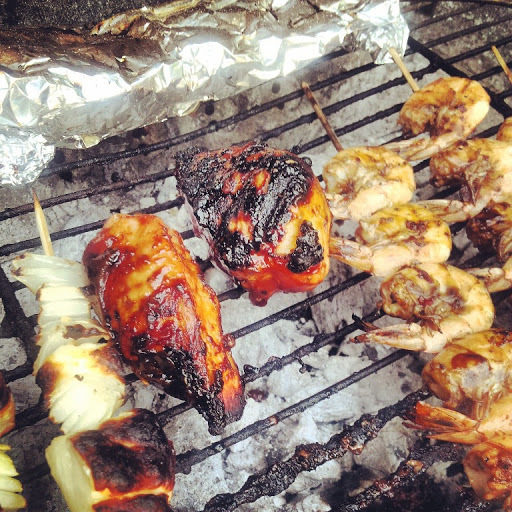 The BBQ sauce is earthy and smoky and the soy sauce gives it a salty flavour too. 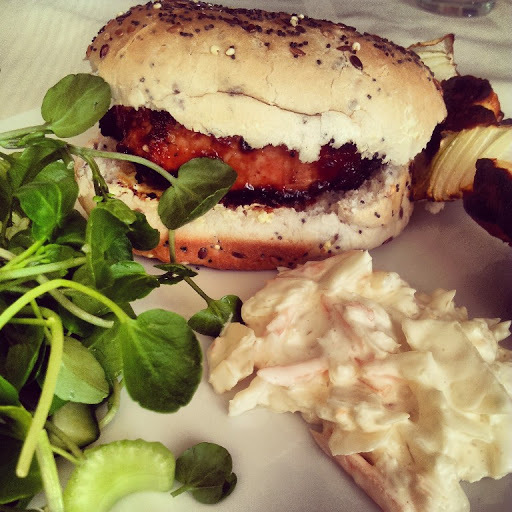 It tastes fab on a chicken burger with cheese and coleslaw too! Delicious! Why not give the recipe a go so you can see for yourself just how versatile soy sauce is. No longer will it be sat in the back of your cupboard, only seeing the light of day when you’re cooking up a Chinese. Let me know in the comments if you have a go at this recipe and how you like to use it.